Shaped Cards is the current challenge over at Cardz 4 Galz. 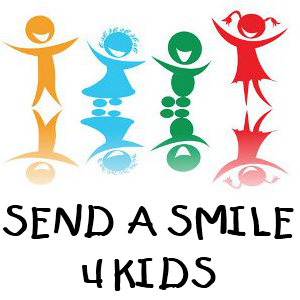 I am a shipper for Send A Smile 4 Kids and making cards for the kids is my passion. So I made this shaped card for the NICU at St. Christopher’s Hospital for Children in Philadelphia. You don’t think the birth of a baby would be a sad time but for some of these parents it is — just like Jimmy Kimmel shared the other night. So making happy colorful and joyous newborn cards for the NICU to give to these parents brings joy to my heart. The onesie dies are no longer available but I use them alot (Top Dog Dies). The papers are from American Crafts and the cardstock is from Stamps of Life. I will be entering this card in the SAS4KIDS challenge (use dies) and the Cardz 4 Galz (shaped cards) and Always Fun Challenges (flowers). This is such a cute card! Thank you for joinign us at Cardz 4 Galz. Sian. Love this very cute card Annie! !